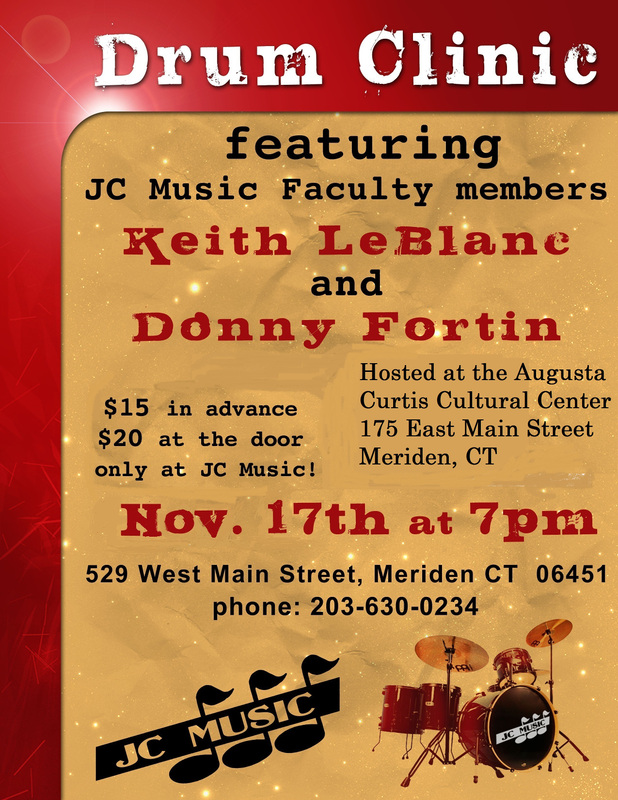 World renowned drummer Keith Leblanc and New England’s popular jazz drummer Donny Fortin will be having a clinic at the Augusta Curtis Cultural Center in Meriden at 7pm on November 17th 2011. Tickets are $15 at JC Music in advance or $20 at the door. 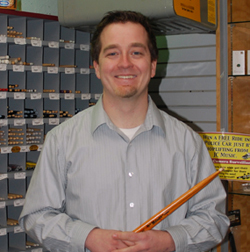 You don’t need to be a drummer to enjoy this dynamic duo! Keith alone has worked with Grandmaster Flash, Annie Lennox, Nine Inch Nails, Depeche Mode, The Rolling Stones, Tina Turner, Peter Gabriel, Living Colour, Ministry, and many more! Don has studied the drumset and percussion with many instructors including Casey Scheuerrell (Jean Luc Ponty), James Haddad (Dave Lieberman), John Ramsey (Jazz Messengers), John Hazilla, Dave Dicenso (Hiromi), Tom Melito (Jerry Bergonzi), Tom Dest, Frank Giguere (Street Temperature) Victor Mendoza (Papquito D’Rivera), Connie Coughlan (U.S. Coast Guard Band), Jim Clark, and was also one of JC Music’s first drum students over 15 years ago when Don studied with JC Caillouette himself! 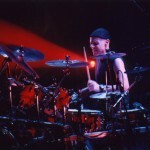 Gregg Bissonette is an American drummer who has performed with artists such as THE MAYNARD FERGUSON BIG BAND, RINGO STARR, JAMES TAYLOR, DAVID LEE ROTH, JOE SATRIANI, TOTO, BRIAN WILSON, ELECTRIC LIGHT ORCHESTRA, ANDY SUMMERS, THE PAT BOONE HEAVY METAL BIG BAND, LINDA RONSTADT, SANTANA, and GINO VANNELLI, and has recorded with THE BRIAN SETZER BIG BAND. THE COUNTING CROWES (FEATURING VANESSA CARLTON) single “BIG YELLOW TAXI”, THE KOTTONMOUTH KINGS, SANTANA’S CD “SUPERNATURAL” (which won 11 Grammy Awards), DON HENLEY’S CD “INSIDE JOB”, DURAN DURAN’S CD “POP TRASH, LARRY CARLTON/STEVE LUKATHER “LIVE IN JAPAN” (Grammy for Best Pop Instrumental). 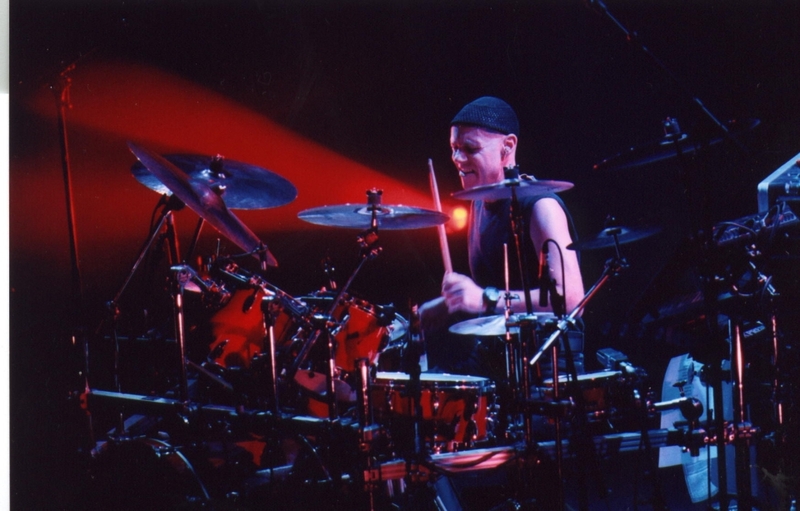 Gregg was drummer for the weekly NBC TV show “Friends”, as well as movies like “American Pie 1 and 2”, “Payback”, ” Waiting For Guffman”, “Best In Show”, and “A Mighty Wind”. He also toured with Ringo Starr’s band, (which featured his brother Matt on bass), James Taylor, Jeff Lynne and ELO, as well as with Britain’s LOUDEST band SPINAL TAP! !